Last year on January 15th, Crafting A Colorful Home was published by Roost Books. Hard to believe it has been a year - and quite a year it has been. I want to thank you all for your support of me, my work, my blog, my family and our farm and this book. Last January, I wrote this blog post about how a book is made why it helps readers to buy directly from an author. The response was so positive and I received many, many orders. I think it helped to clear things up with readers about why I (and most likely many other craft book authors) write books. Last February, I was kept busy with shipping books and lambing and snowstorms. It was so heartwarming to read each buyer's name, sign their book and send them off into their home. 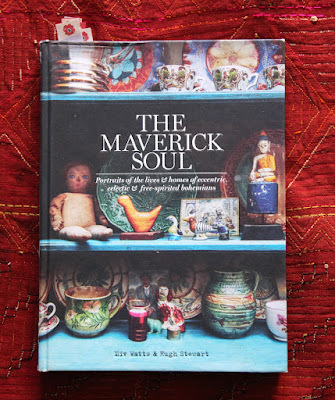 With each book I shipped, I hoped that I would inspire the reader to decorate with fearlessness, color, and the handmade. Crafting A Colorful Home was embraced by the print media. The book or projects from the book with photos by Rikki Snyder were featured in Yankee Magazine, Mary Jane's Farm, Taproot, Where Women Create, The Houston Chronicle, The Greenfield Recorder, The Northampton Gazette, Small Spaces/Big Ideas, Country Woman, Romantic Homes, Bohemian Home, Mollie Makes, Cottages and Bungalows, Library Journal, Flea Market Decor, Woman's World, The Houston Chronicle, and the Boca Raton Observer. I'm not sure what happened with the on-line community where Crafting A Colorful Home was concerned. It got zero interest from design bloggers. I had high hopes but I guess it didn't speak to bloggers. Oh well - disappointment can make one work harder. 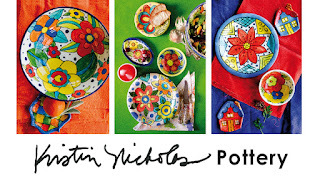 Crafting A Colorful Home has been the vehicle to introduce me to a world beyond the world of knitting. I feel so fortunate to have had this opportunity and that my work and art is being so well received. Last summer, I shared our farm with many students who came from near and far. 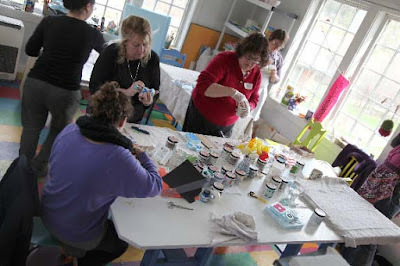 I taught them fabric printing, about color, knitting (no - I haven't given it up), and crewel embroidery. What great creative days and new friendships with lovely women were formed. In May, a film crew came from California and Houzz produced a video about our farm. You can watch it here. It has been viewed over 96,000 on YouTube alone, not to mention everyone who has watched it on Houzz's website. I began making and painting pottery again and opened up a second Etsy shop for mail-order sales of my art. I painted several oil paintings and colorful lampshades - they are for sale on my Etsy shop too. In December, our home was featured in Yankee Magazine. You can read that article on-line here. In early December, I opened up our home for a Holiday Open House along with two friends of mine. It was such fun to share the color and decor with those who came and see them excited about decorating with color. I'm hoping to repeat the event again in 2016. So what more is on the horizon here at this little old farm? Once again, I will be teaching Creative Retreats here at our sheep farm to small groups of students. I've got to get that organized and scheduled so that you all can think about coming. Anyone have anything particular they would like to learn? 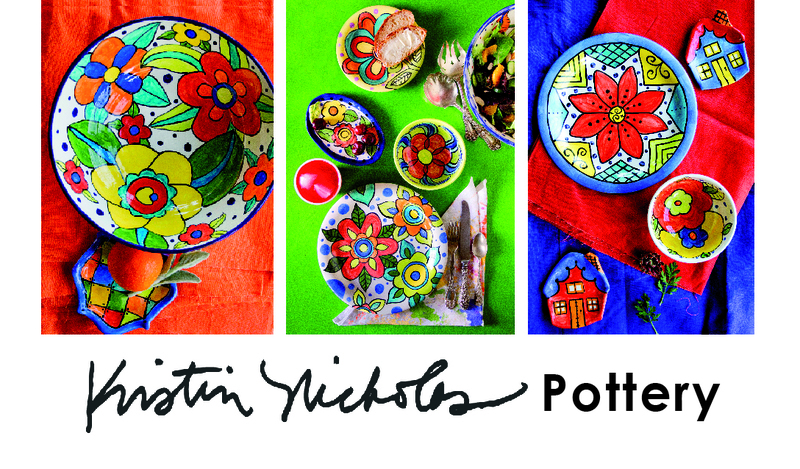 Any interest in a weekend of learning to oil paint or a weekend painting your own dinnerware? Anything else? Embroidery? Knitting? Color? Fabric printing? SPEAK UP! Here is my big news...... I am writing another book for Roost Books. What's it about? It is a continuation of Crafting A Colorful Home but it will be a stand alone book too. I'm super excited to begin. My deadline is November 2016. The new book will not be released until 2018. Boy that seems so far away, doesn't it? Best thing is I spoke with my editor Jenn and she said she doesn't mind if I include small bits and previews from this upcoming book here on the blog with you all. I know it is a long time to wait to see the book in print but at least I can include a bit of what I will be working on here on the blog. This is what I need from all of you. If you have any ideas for me - about projects and techniques you would like to see included in my new book - shall we call it CACH#2? - please send them on in - leave a note in the comments or shoot me an email at kristinnicholasATgmailDOTcom. I'd love to hear your thoughts. This post is a bit of My Year in Review. I've never done a post like this but I thought that documenting 2015 here will be a reference for me in the future. I thank you all for your support this past 2015 and I look forward to sharing more with you in 2016. 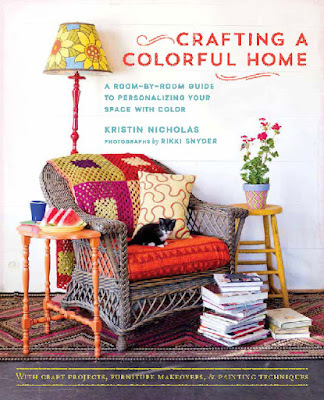 I am still selling signed copies of Crafting a Colorful Home on my website here. Oh Kristin, you know I'd love to take any class you offer! Sign me up! "WOMAN'S WORLD"..? - Which issue? -- My Mom can't get her new ones fast enough! - I've had to resort to taking pics of each issue I buy for her, just to *prove* that I got any particular one whenever she happens to misplace them. The things are scattered everywhere in the house! I would love to see a lot more about printing onto fabric. Living in rented property, I am limited as to what I can paint on the walls, but I like the idea of making large hand printed panels for boring areas, such as the wall in the stair well etc. Hi Kristin - Here's one for you. I have matching roman type shades in my kitchen and connected family area. The one on my single french door is very faded. I can't get a new one to match the others. I googled "painting fabric roll-up shades" and discovered that others are painting their roll-up shades with Krylon spray paint! Apparently it's flexible enough. Now I have to figure out if I'll try to match the color or go off in another direction color-wise. I just thought you'd find this interesting...The possibilities are endless! Another book. Hurrah! I can't think of anything to include, at the moment. I wish I could attend another farm class, but don't think it's in the budget this year. Oil painting would be fun. I've started playing with acrylic paint and am having a blast. 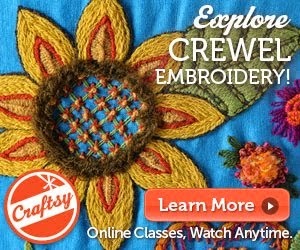 I would love to learn more about fabric painting and stamping. Have some natural linen curtains I want to jazz up. Wish I could make one of your weekend retreats. Perhaps some day!